This idea for adding caramelized onions to cornbread? Yea, it didn't start with me. I found it on one of my current blog-obsessions, Sweet Potato Soul. It's written by another NYC transplant, Jenné, and she focuses on healthy vegetarian food with a good dose of soul. As you might guess, sweet potatoes feature prominently. I've had this recipe for Caramelized Onion Cornbread bookmarked for a while. In the original, Jenné uses a cup of onions caramelized in balsamic vinegar to punctuate her cornbread. And that's exactly how I was going to do it until I ended up with leftover Onions and Apples Caramelized in Honey. I have a feeling that Jenné's original onions, spiked with balsamic as they were, probably had a stronger taste in her bread than did mine. So I'd use maybe even 1.5 cups of onions if you go with the honey kind. I used Jenné's recipe for cornbread without changing a thing. 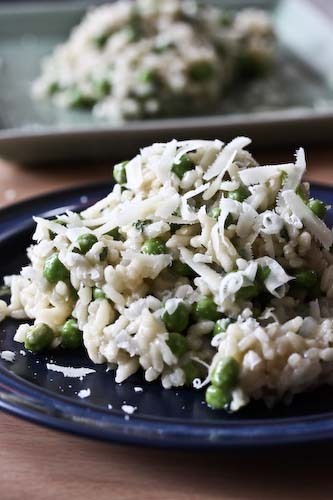 And since I want you to go visit, I'll link to the recipe rather than retyping it. 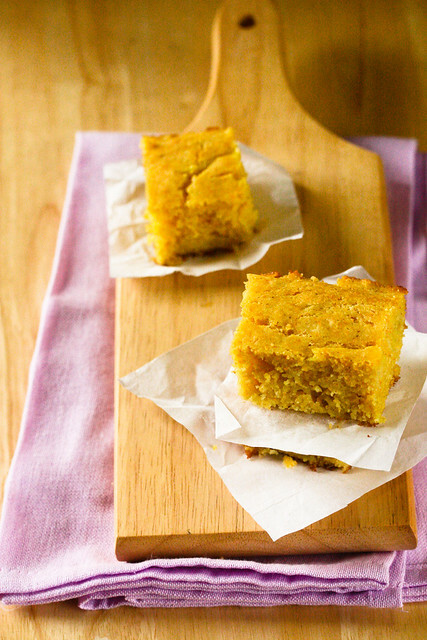 If you're a real cornbread lover, try is both ways. Once with onions caramelized in balsamic, and once with onions and apples caramelized in honey. Enjoy! 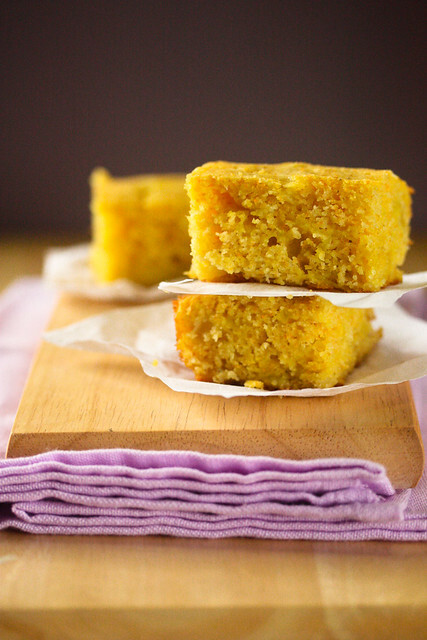 For the cornbread, get the recipe on Sweet Potato Soul. For the Onions and Apples Caramelized in Honey, see my earlier post. YUM! I would've never thought of combining caramelized onions with apples but they sound so perfect together especially in corn bread! Maybe a bit of sharp cheddar added as well? Yummy, these look delicious! I love the addition of apples. Next time I'm definitely throwing some in there! Thanks for the major shout out. You're the best best best! These look awesome. Can’t wait to give them a try. Made this bread today :) with onions and apples, but i have to be honest next time i'll skip the onions and add more apples.